This is the deer in headlights. 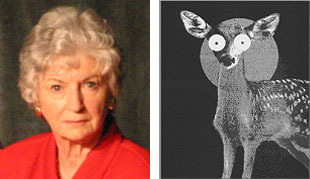 You're not the "deer in headlights" but rather the person who think the followers of the deer in headlights are "very nice folks", the person behind the Republican caucus closing their meetings to the public, and the individual who allowed number one rubber-stamp Republican Pauline Basso to spew some of the most insane crap ever uttered from an elected official, which ultimately lowered the standard of quality of your show. ...at least you got the sidekick terminology correct. I could go on but I think you get the point. In the future, when offering "your opinion," get the facts straight when quoting this site on your show. Well, I hope this helps but if you need more clarification, I'll be more than happy to accommodate...I know how you local access hosts like all the online attention. Take a look at this comment from today's article on the Santos family. Hi everyone - thanks for all the support. It's really not as bad as the newspaper makes it out. I just go along with them because they said they needed a real "sob" story. They said people would probably send me money and stuff. Anyhow, I'm having a great time on my own. I can stay out and party and have all my boyfriends over! It's the coolest! I don't miss my brothers at all. They were lame. They would always put boogers in my hair and fart and stuff - yuck! Well, now that I'm on my own I'm looking for an older guy to take care of me. If there are any guys out there who want to get together give me a call! (17 is legal in CT ya know!) I love to party and I'm totally easy! Impersonating an individual in this manner is illegal...in fact, it's a federal crime. 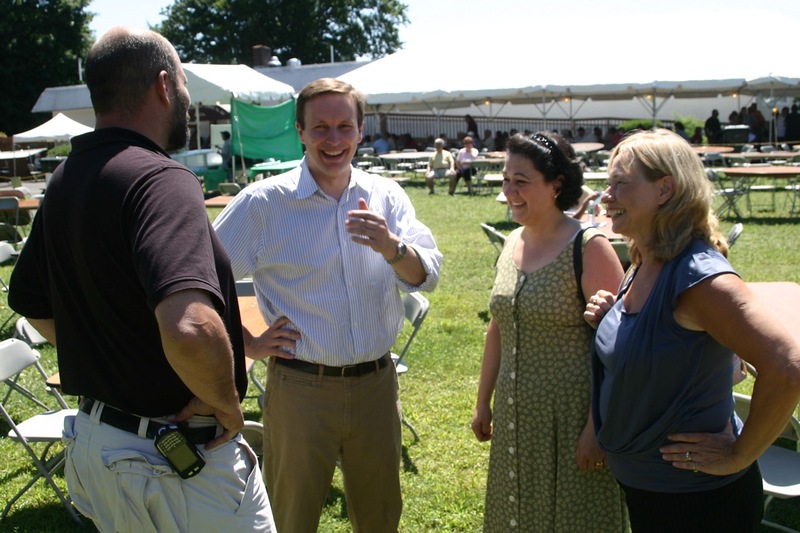 During the 2006 Lamont-Lieberman campaign, an individual impersonated an elected official on Connecticut Local Politics, which resulted in the FBI getting involved and launching an investigation into the matter. In short, impersonating someone else online can lead you in serious legal trouble if someone wanted to pursue the matter. In this case, I'll be more than happy to assist the REAL Rayany Santos and go after the moron who's ridiculing her family's hardship online...I have a good idea on who the impersonator is. UPDATE: Just placed a call at the News-Times alerting them of the matter and requesting that they ban the account and keep a record of the impersonator's email address as well as IP number. If this is who I think it is, the News-Times will be able to track the impersonator's IP number of another account. UPDATE 2, 08.13.07: Success...the troll is gone! Thanks goes out to the News-Times for removing the offensive comments and banning the user and thanks goes out to the HatCityBLOG readers for taking a stance against the xenophobia that plagues the online newspaper and our great city. I don't know about you but I don't feel comfortable knowing that the toothpaste used my patients at Danbury Hospital is the same stuff you can pick up at a dollar store. I really don't feel comfortable with the fact that Danbury Hospital had a majority of the tainted toothpaste, found mainly at dollar stores, in the state. The following is a list of Connecticut stores where toothpaste has either been voluntarily destroyed or has been embargoed by the Department of Consumer Protection in June and July 2007 due to concerns about unsafe ingredients, or incorrect labeling. A total of 4,852 units of toothpaste destroyed or embargoed as of July 19th, 2007. With Tom Bennett and his co-hosts continuing their profane-laced, hate-speech rhetoric, my case to have Bennett's local access contract terminated, and incited comments investigated by the authorities, have caught the attention of the mainstream media. On Wednesday evening, I was interviewed by a reporter regarding my case against Bennett and I'll provide more information on the story once I have a better idea when the article goes to publication. On a side note, I'd like to thank everyone of my HatCityBLOG readers as well as those on YouTube who found my site by Bennett's YouTube critics. You're activism played a significant role in holding Comcast accountable for disciplining Bennett, which was overdue by about two years. Although Comcast has issued a warning to Bennett, given recent remarks made on the show during the last two weeks, it's painfully obvious that Bennett hasn't received the message and truly doesn't comprehend the hole he and his cohorts are digging for themselves. There isn't a law against a bigot, xenophobe, or a homophobe, but there are rules detailed by Comcast, which every television host is required to adhere to and Bennett stubbornly refuses to acknowledge. As we move forward, we'll continue to make the case against Bennett and expose the hypocrisy of a close-minded disturbed, troubled resident who brings shame to the entire community local access system. UPDATE: Oh, the backpedaling is laughable but the video doesn't lie. In honor of Tom Bennett, Elise Marciano's anti-immigrant organization's Vice President John McGowan, and the cowardly co-host who sits behind the camera, here's a replay of our favorite hate-mongers backtracking from their repeated calls for residents to assassinate immigrants in the streets. ...and lets not forget using sexually explicit language with a 15 year old female minor as well as using the airwaves to spread a "rumor" that people want to FIREBOMB THE HISPANIC CENTER. The Democratic candidates seem to understand that, in order to win election, they have to campaign hard using every form of media available to them. In the last week, we seen mayoral candidate Helena Abrantes, the person who wants to defeat "heck of a job" City Clerk Jean Natale, candidate Eileen Colaradci, and 2nd ward Common Council candidate Ken Gucker, make their case to the public. Now, lets look at two other candidates who are currently campaigning for office. On the local access show, Community Forum, two more Democrats made their case to the public. 3rd Ward Common Council candidate Jim Kelly came within a heartbeat of winning a spot on the Common Council in 2005 and is taking a shot at the seat again in 2007. With the addition of Lynn Taborsak on the ticket, the 3rd ward is definately in play this November. Brain Cotter is taking a shot at the position of Treasurer. The long-time Democrat, he has a battle on his hands against incumbent Dan Jowdy so he's getting a head start on campaigning and introducing himself to the general public. The feedback from my video footage on last night's Ideas at Work and Beyond has been unbelievable. 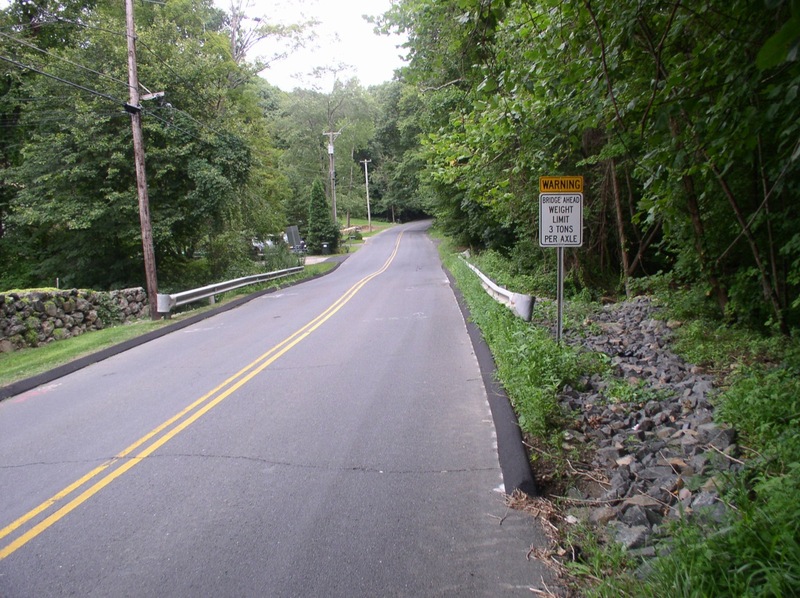 Email after email, people expressed shock and disbelief at the video report I presented on the show regarding the Cotswold project as well as the pathetic attempt by the City of Danbury to so-called "fix" a bridge on one of the worse road in Danbury. The stretch of road from Padanaram Rd to Route 39 (known to local residents as "the shortcut"), has been a concern for the residents who live on that street and are witness to accident after accident and their outrage towards Mayor Boughton for failing to address their concerns is pretty evident when you watch the video. ...and YES, Ivon Alcimé was actually moving the so-called "fix" the City of Danbury did to the bridge. 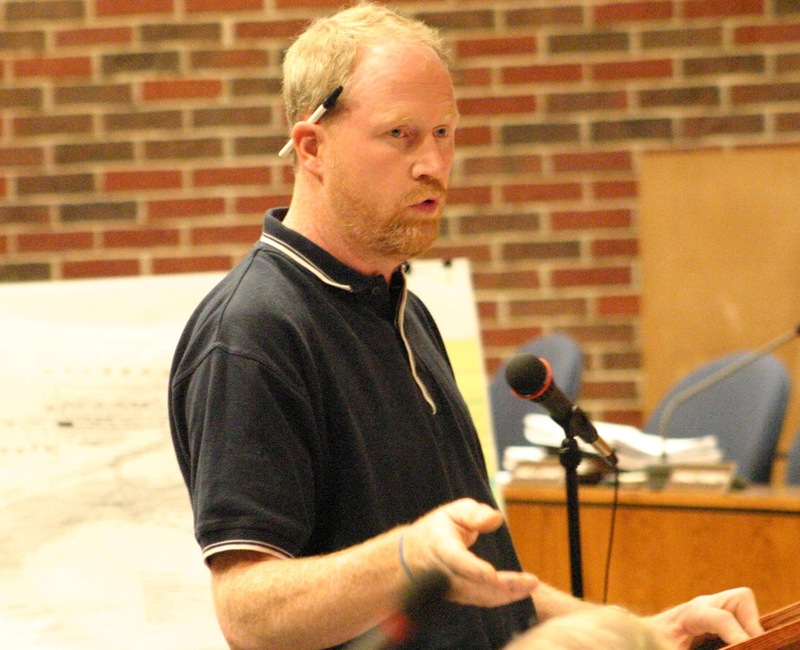 Common Council 2nd ward candidate Ken Gucker's interview exposed a great deal of the same issues I repeatedly talked about on this site in regards to irresponsible development and elected officials who fail to properly address many of the real concerns in the area. Opting instead to play a game of "slight-of-hand" by using immigration to divert people from their own political failures, hopefully the footage on last night's show will spark the beginning of a long overdue wake-up call for many residents who don't have the full story on the true condition of our city. For those who missed the show, it will be available for viewing later today. I'm doing a bit of rearranging on this site. If you look at the links section, in an effort to find information easier, you'll see that a few things have changed. I've added an immigration section which includes many of the events that have occurred in Danbury over the last two years. Be sure to come back as it will take a while to compile all the posts on immigration and add it to the section. I will be adding more stories on irresponsible redevelopment to the development resource. There seems to be a great deal of misinformation regarding several things the current administration is selling to the public. In this election year, it's important that the public is provided the facts, which now is only known to a selected few who really keep an eye on how local government operate. We'll provide the research that the News-Times fails to do to expose the real story on a whole host of developmental issues, which should have an impact on this year's election. On the request of many reader who want to speak out, there will be a new section devoted to residents who have had enough of the current status quo. It's time to hold elected officials accountable for the statements they've made in the past, and since we have a two year video archive of local government meetings, we'll take a look back and show how the actions of some elected officials don't match their statements to the public. This is a work in progress, and we're still playing a bit of catch-up on other things, but once everything is in place, HatCityBLOG will be a better resource for news and information in the Danbury area. As I stated since for some time, the major issue in this year's municipal election will be development. When you look at local concerns such as traffic congestion, education, zoning issues, open space, and the balance residential and commercial area, and increases in property tax and sewer rates while developers receive tax breaks, everything comes back to one topic....development. 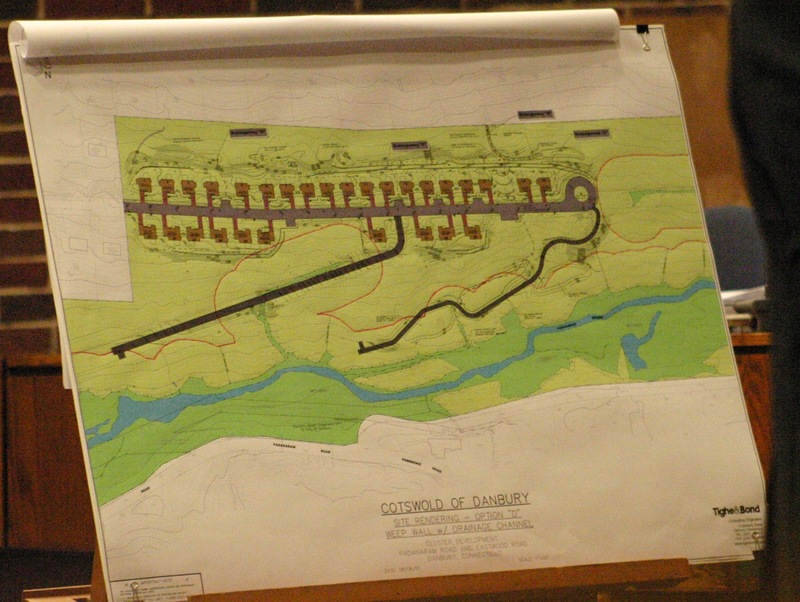 The latest issue on the radar is the ongoing battle between residents and a developer named Cotswold of Danbury. While I'll go into great detail into this major land battle, which will have a direct impact in the upcoming 1st and 2nd ward Common Council race, here's a very small sneak peek video clip that highlights the passion of the residents' disapproval of the development. The following footage is from the last public hearing on the Cotswold development during last night's EIC meeting. If you want to learn more about the Cotswold project, and the battle between the residents of the 1st and 2nd ward and developers, make sure to tune into the local access show "Ideas at Work and Beyond" tonight at 9:00 P.M. as 2nd ward candidate Ken Gucker will talk his community's ongoing battle against the project as well as other insane development issues in the 1st and 2nd ward. UPDATE: HatCityBLOG TV will make another appearance on tonight's Ideas at Work and Beyond and lets just say that I don't think the mayor is going to be happy about what I have in store for tonight's show. Make sure to tune in...channel 23 @ 9 P.M.
For those who don't know, recently Connecticut passed a new system of public financing of campaigns. Over at My Left Nutmeg, mikect wrote a great analysis on the new system and how "grassroots candidates for the state legislature can use the program to take back our democracy." For those who are looking for a better understanding of the new laws, this post is for you. For those who don't know, there is a MAJOR land development fight happening right now between the people in the 1st and 2nd ward and a developer who's attempting to get his development approved for the third time. The public's input into the Cotswold battle ends as the public hearing concludes tonight. I meant to touch on this latest land battle last week but there is a great deal of history with this piece of land and it requires me to do quite a bit of research. I've attended just about every one of the public hearings and compiled hours of video footage which I'll share with everyone in the coming days and weeks. As I bring everyone up-to-date on the history of this development as well as Mayor Boughton's role (or non-role) in this bitter battle, you'll have a better idea of why I continue to say that the NUMBER ONE ISSUE IN THIS YEAR"S ELECTION wil be D-E-V-E-L-O-P-M-E-N-T. When people in Connecticut think of a politician who shamelessly used the topic of immigration solely for political purposes, they think of Mark Boughton. When people in New York think of a politician who shamelessly used the topic of immigration solely for political purposes, they think of New York Assemblyman Greg Ball. People like Ball prove my strong belief that those who follow the likes of anti-immigrants like Elise "deer in the headlights" Marciano are among the most ill-informed and simple-minded in our city. I won't get into the laundry list of questionable actions of Ball as it would take forever to detail...I'm sure there are plenty of blogs in New York State that can give you the low-down on this creep. Back in July, on the request of several readers, I attended an anti-immigrant rally in Brewster that Ball assembled and talked to several residents who had a few words for their Assemblyman. Today marks one year anniversary of the historic day when Ned Lamont defeated Joe Lieberman and the people took back their Democratic Party from the establishment. As many know, I followed Lamont's campaign across the state from his beginnings in New Haven to his eventual loss in November. For me, August 8th stand out as the day when it was finally possible to talk openly about the war and raise objection to politicians who rubber stamped the policy of President Bush (e.g., Joe Lieberman). I'll never forget those "established" Democrats who said Lamont had no chance as well as those who never gave Lamont a chance...the look on their faces (as well as their "embrace" of Lamont the next day) was priceless. Although Ned lost in November, his victory in August ushered in a progressive tidal wave that helped Chris Murphy, Joe Courtney win re-election, gave the Democrats majority status in both the House and Senate, and will probably keep the Republicans in the minority for the foreseeable future. 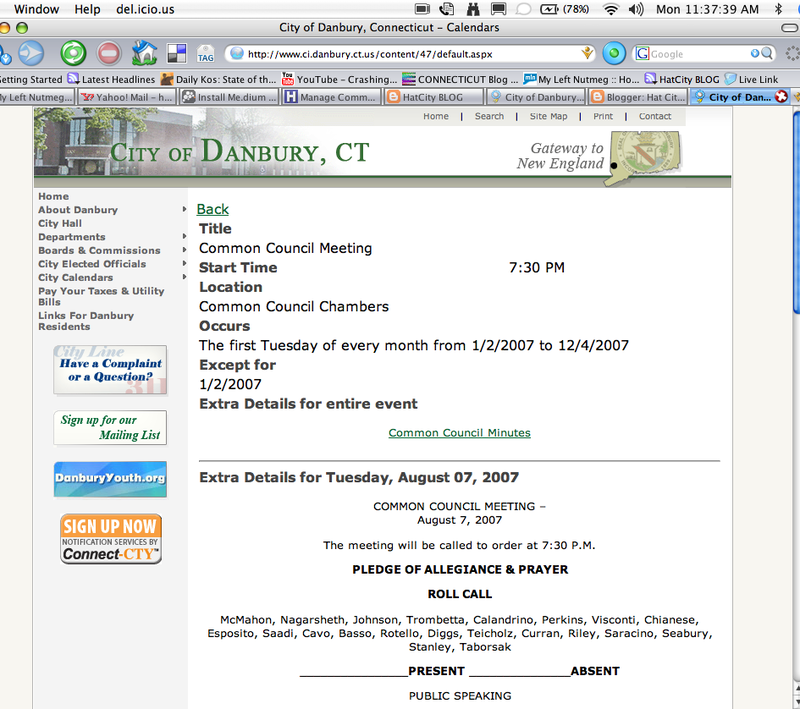 In honor of this day, I'd like to take the new readers of HatCityBLOG on a trip down memory lane back to primary day in Danbury as well as footage from Lamont Headquarters. Primary night at Lamont headquarters. As a follow-up to my post on the Democrats at the Italian festival, here's my full interview with Congressman Chris Murphy. Fresh from the late-night session in Washington, Congressman Murphy took time out of his schedule to come to Danbury and stump for Mayoral candidate Helena Abrantes and the Democratic ticket. In my interview with the freshman Congressman, I asked him to reflect on two of his latest accomplishments during his seven months in Congress, which he made a priority during his campaign against Nancy Johnson: The passage of changes to the Medicare Part D plan and the passage of lobbyist reform. From time to time, I like to plug some of my favorite local sites that I visit from time to time. For those who don't take the time to look in the beauty of the buildings on Main Street, this site is for you. Main Street, Danbury Connecticut is a site created by "Sharon", a blogger who has an eye for Danbury's historic architecture, educates her readers with background history of several buildings that go overlooked in the city, and is not afraid to give her take on developmental issues in the area. As a person who always wanted to live on Library Place during the 90s, I really appreciate her take on things and I encourage everyone to give her site a read. 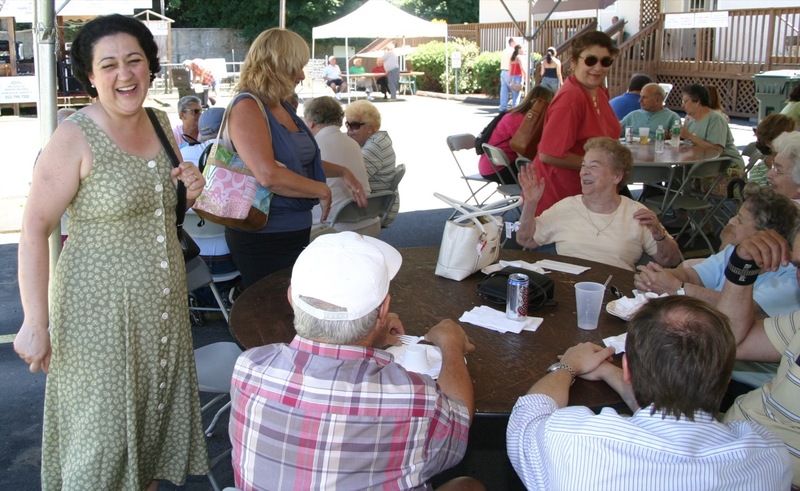 As I stated earlier, it was a busy week for yours truly as I spent the weekend attending several festivals in the area. 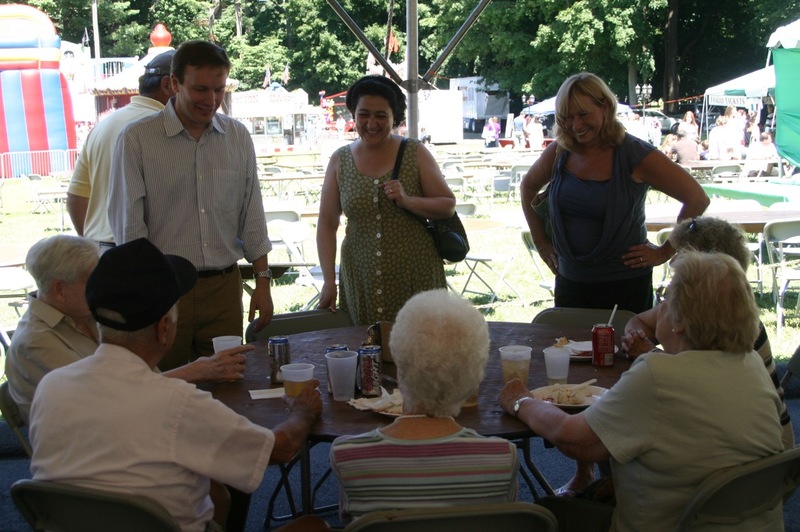 While my initial report on the Italian festival centered around the impressive number of Democrats who pressed hands on Saturday night, on Sunday, Danubry's newly adopted native son, Congressman Chris Murphy, mayoral candidate Helena Abrantes and Eileen Colardarci made their rounds around the festival. After Abrantes chatted with people, I asked several people what they thought about the person challenging Mayor Boughton for the top spot as well as the turnout from the Democrats in general this weekend and from all indications, most people had nothing but positive things to say about the Democratic ticket while others had a thing or two to say about Mayor Boughton's shameless strategically-placed lawn signs across the street from St. Peter's Cemetery. In fact, lets just say that I don't think the signs were a hit. In fact, it probably topped the bad taste exhibited by the Republican Town Committee when they pissed opff the Veterans with the lawn signs on the corner of Main an South Street just in time for the Memorial Day parade. ...ah yes, people over politics. Anyway, back to the report...after pressing hands and greeting people at the festival, I caught up with the Congressman, Abrantes, and Coladarci and filed this report. (NOTE: My full interview with Congressman Murphy will be posted on My Left Nutmeg later tonight). More par for the course from the non-existent City Clerk, Jean Natale. First a little background on what Natale is selling to the public on the City's website. 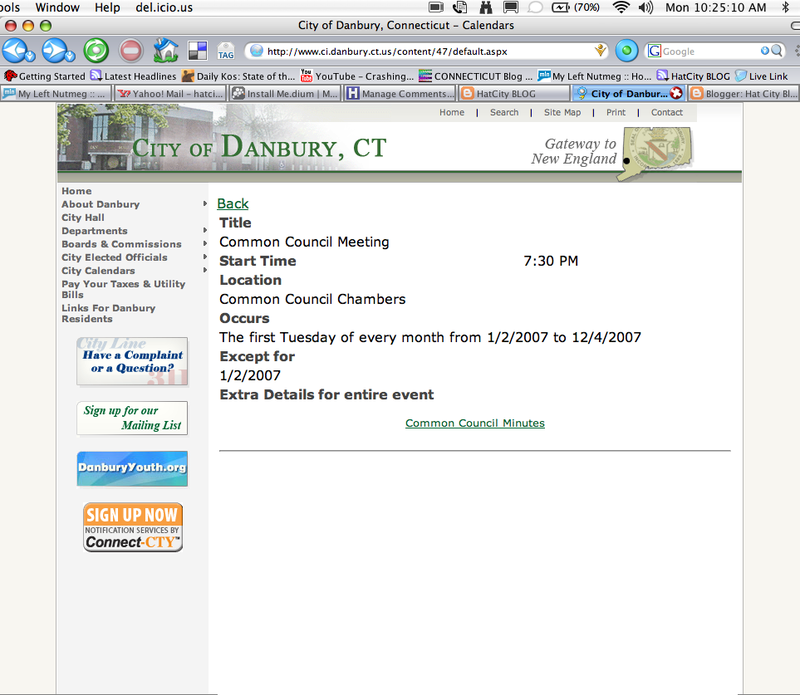 The City Clerk works with the Mayor and the Common Council to serve the citizens of Danbury. The duties of the City Clerk are defined in the City Charter. In addition, the City Clerk serves as the custodian of public records, ordinances, resolutions, minutes of the Common Council meetings, and attests and seals official documents. 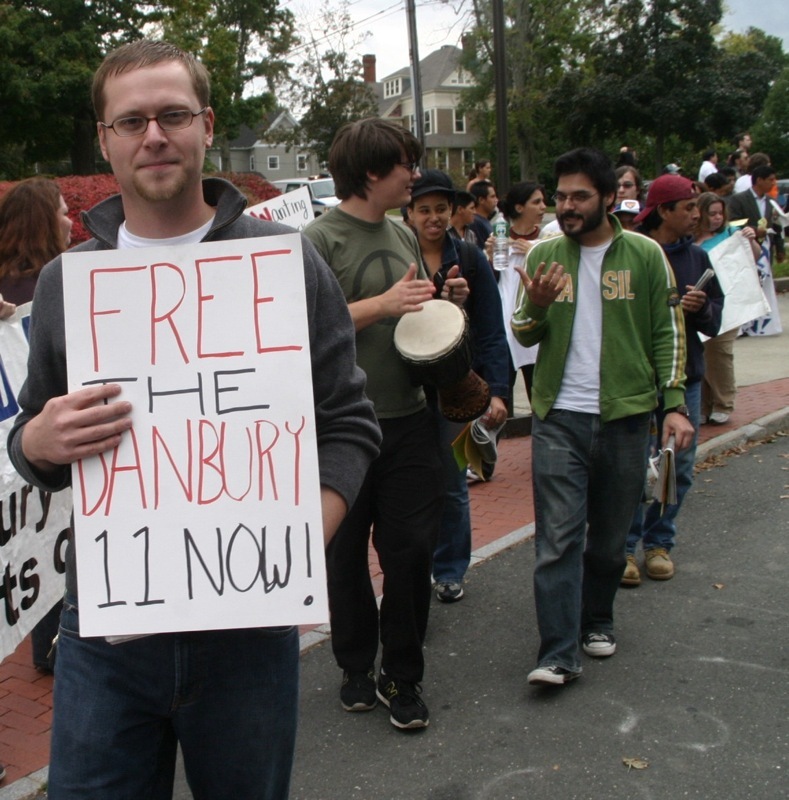 The office also receives claims and lawsuits against the City of Danbury. The City Clerk has made it her mission to ensure the City’s legislative processes are open and public by providing a link between citizens and government through the dissemination of information. 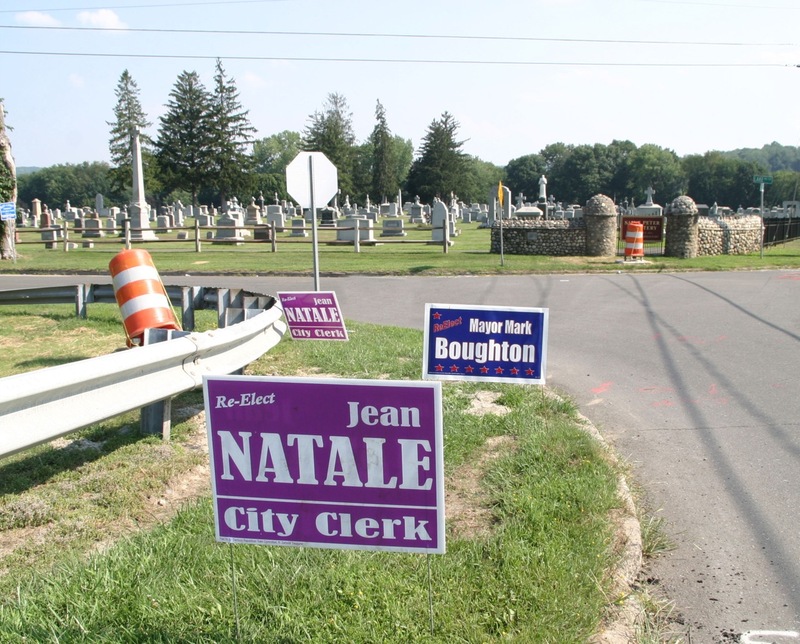 People have long complained that Natale simply doesn't do her job as City Clerk. Common Council members have long complained that they have to wait LONG period of time to get any type of information from Natale and this has caused a great deal of frustration among many on both sides of the political aisle down at City Hall. Well, now the public is getting the short end of the stick as the Common Council agenda for tomorrow meeting is not posted on the City's website. Usually, the agenda are posted a few days before the meetings so the public has an understanding on what's on the agenda. ...well, I'll let one of my readers tell the story from here as she deserves the credit. government through the dissemination of information." meeting and there is no AGENDA up on the city's website. Jeff at 311 at 8:30 said he would send a message. Teddy at the Mayor's Office at 8:40 said he would send a message and that Jean comes in at 9 a.m.
9:43: no Jean and still no agenda. After reading this email, I said, "No, Jean wouldn't do something as not post the minutes of the meetings...she's aware that it's an election year and she wouldn't do anything as silly as bring attention to the very thing people criticize her about, which is that she doesn't do her job. I started monitoring the site and lo and behold, the agenda FOR TOMORROW'S MEETING WAS NOT ON THE SITE. Here's what was there as of 10:45 A.M. It wasn't until aprox 11:15 A.M. until the minutes were FINALLY posted on the site. Again, this is par for the course for the office of City Clerk as members of the Common Council have LONG complained about the inability of receiving any information from Natale in a timely manner. From May's DTC meeting, here's a video clip that gives more insight into the ongoing criticism of the current City Clerk. If you want an end to the madness, I have only two words: Eileen Coladarci. UPDATE: I incorrectly mixed the terms minutes and agenda up. The agenda is usually up days before the meetings while the minutes of the meeting is not available until few days after the meetings. I've updated the post to reflect the correct terminology. I'm taking a break from the festival action to file this quick heads up on what I'm working on. First off, on Saturday night, yours truly, my wife, and daughter (and new political sidekick) CTLauryn attended the Italian festival at the Amerigo Vespucci Lodge #160. Lets just say the Democrats flooded the place with Town Clerk Lori Kaback, Common Council candidates Warren Levy, Manny Furtado, Lynn Taborsak, John Esposito, Tom Saadi, Fred Visconti, Christine Halfar, and a whole host of Democratic Town Committee members pressing hands and having a great time. Also in attendance that night were Republicans Dan Jowdy (who asked me why I was walking around with my camera) and State Rep. Jan Giegler (note to Rep Giegler, I'm sorry I didn't introduce myself but I was busy finding a chair for my wife who was giving me the evil eye :-) but for the most part, the Republicans with no where to be found (except on a couple of laughable lawn signs). Sunday featured Congressman Chris Murphy, Democratic mayoral candidate Helena Abrantes, the person who's going to send City Clerk Jean Natale packing, Eileen Coladarci, Common Council candidate John Gogliettino, and DTC Chairman Joe DaSilva. On the other side of the aisle, like last night, the Republican were basically no where to be found with only Dianne E. Yamin making an appearance. I was able to catch up with Congressman Murphy as well as Mayoral candidate Abrantes and City Clerk candidate Coladarci and I'll file my video report later. 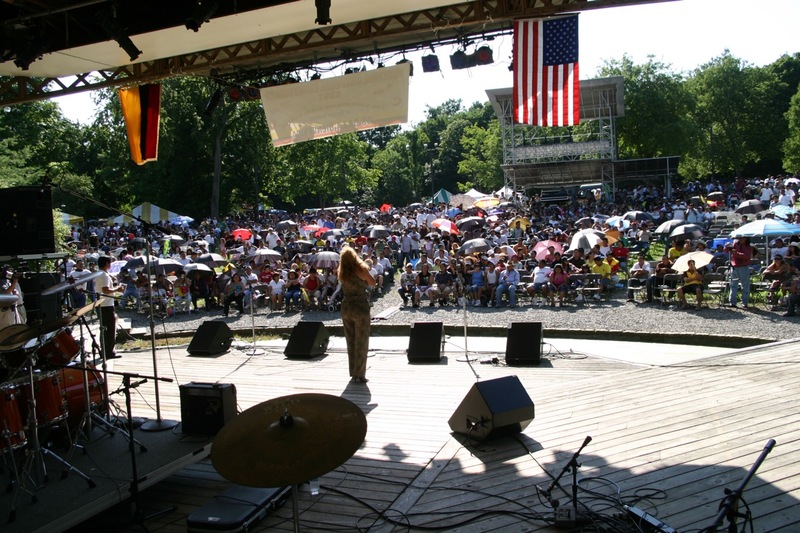 On another note, although the Italian festival was well attended, it was nothing compared to the massive Ecuadorian Center festival at the Ives Concert Center. Well over 3,000 people packed the Center to celebrate their heritage and enjoy the weather and I'll file my video report on everything that went down later this week. Also there Saturday were Sen. David Cappiello for the earlier part of the evening and Councilwoman Mary Saracino. I check and verified this and in fact both Cappiello and Saracino (who's Cappiello's campaign treasurer and not seeking re-election for Common Council) were in attendance. Sorry 'bout that, I probably missed them. Although I routinely criticize this paper for failing to properly inform the public about the actions of Mayor Boughton and the Republican controlled City Council, from time to time, they get a story (or an editorial) right. The state Senate will form a bipartisan committee to investigate Louis DeLuca of Woodbury and his involvement in a thug-for-hire scheme. DeLuca was arrested in June and pleaded guilty a few days later to conspiring to threaten his granddaughter's husband, who DeLuca said was abusing his granddaughter. At the time, DeLuca was the Republican leader in the Senate, a powerful position. Yet DeLuca claimed he arranged to have a thug threaten the man because he couldn't get any help from Waterbury police. The police say they were never told of abuse allegations. The thug was to be supplied by James Galante, who owns numerous trash disposal businesses based in Danbury. The FBI was investigating Galante and caught DeLuca on tape promising to use his Senate leadership position to do Galante's bidding. Initially, Republicans and Democrats in the Senate rallied around DeLuca, claiming his problem was "private." Abusing the public trust and promising to use your authority to help the supplier of a thug, however, is not a "private" problem. If DeLuca resigns before Sept. 18, an election to pick his successor could be held on Election Day, Nov. 6, in his 10-town 32nd District. If he stays in office beyond Sept. 18, but is removed from office by the Senate, a special election would have to be held -- at a cost estimated at $250,000 because his district includes so many towns. Resign, Senator DeLuca, it's the right thing to do.